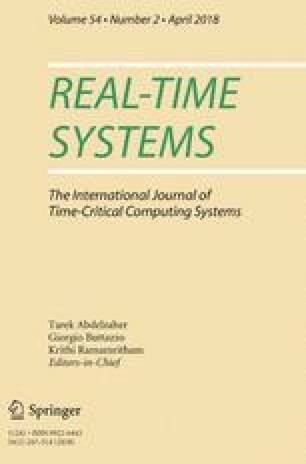 This article deals with the design exploration and verification of real-time critical systems. Assigning the functions to the tasks of the target real-time operating system is a part of the design process. Finding a suitable design involves many important design decisions that have a strong impact on the system quality criteria. However, with the increasing complexity and scale of today’s systems and the large number of possible design solutions, making design decisions while balancing conflicting quality criteria becomes error-prone and unmanageable for designers. We propose an automated method using a multi-objective evolutionary algorithm guided by an architectural clustering technique. This method allows designers to search the design space for schedulable solutions with respect to multiple competing performance criteria. To assess our method, several evaluations were performed. One of them shows that we were able to produce the exact optimal solution sets for \(55\%\) of the studied problem instances. The authors sincerely thank the reviewers, whose remarks really helped to improve the article. The Cheddar scheduling framework is supported by Brest Métrople, Ellidiss Technologies, CR de Bretagne, CG du Finistère, and Campus France.